What is it like to witness war up close, as an observer of hostilities rather than a participant in them? On Tuesday, March 23, Media@McGill and McGill’s Faculty of Arts will welcome two-time Pulitzer Prize and McGill alumnus John F. Burns for a free public lecture, From the Front Lines: Covering Conflict in the World’s Deadliest Places. 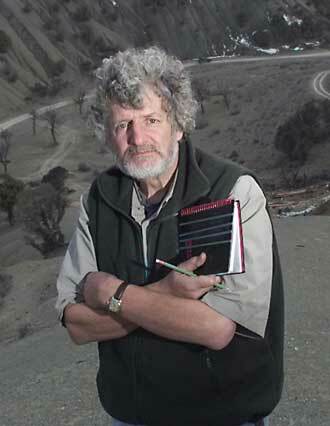 Burns is the longest serving foreign correspondent in the history of the New York Times, and for over 30 years has reported from some of the most conflicted datelines in the world, often under the most hazardous circumstances including South Africa during the years of apartheid, the Soviet Union during the Cold War, the siege of Sarajevo, the rise of the Taliban in Afghanistan, and Iraq for much of the last two decades. He spent the final six months of Saddam Hussein’s regime in Baghdad and, after surviving on the run from the secret police during the allied invasion, remained as the Times’ Baghdad bureau chief for more than four years. John F. Burns, “From the Front Lines: Covering Conflict in the World’s Deadliest Places,” Tuesday, March 23, 5:30 p.m., Leacock Building, Room 232.